March Offers: Late Winter At Its Best! Minnesota’s North Shore has been given the gift of over 4 feet of snow this winter season. As a result, we’ll be enjoying snow sports through March and into April. Yippee! Cross-country skiing, downhill skiing & snowboarding, snowmobiling, snowshoe hiking, and fat tire biking trails are in prime condition. Make plans now to get outside and embrace winter at its best! Take advantage of these amazing March Offers for your much-needed Spring Break or late-winter getaway! WINTER 4 FOR 3 SPECIAL: Stay four nights and receive one of those nights completely FREE! Experience winter outdoor adventure and indoor relaxation at its best when you stay at any of the Bluefin Bay Resorts in March! This offer includes a complimentary night’s stay when you purchase three nights or more through March 25, 2019. 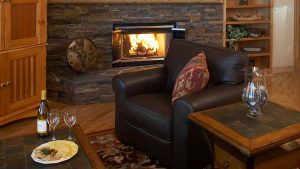 MARCH WEEKENDS AT MIDWEEK RATES: Stay three nights or more and receive weekends in March at midweek rates. Valid Dates: March 4-20, 2019. Enjoy midweek rates on the weekends throughout most of March. Stay three nights or more and pay the midweek rate on your weekend lodging. A savings of up to 30%! 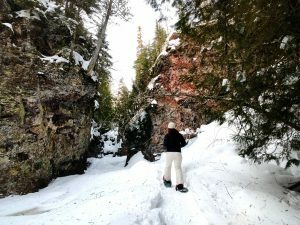 SKI AND STAY PACKAGES: March skiing is epic at Lutsen Mountains! For those who love to downhill ski and stay at the Bluefin Bay Family of Resorts, you’ll want to book a Ski & Stay Package for the best deal. We offer FREE daily shuttles to and from the base of the mountain, frustration-free equipment rental at our neighboring Sawtooth Outfitters, and a variety of Can’t-be-beat Ski & Stay Packages. Check out the MN DNR Snow Depth Guide. Updated weekly, it’s a great resource for planning your snowy adventures. Here at Bluefin Bay Family of Resorts, we love adding new activities to help our guests explore all that Minnesota’s North Shore has to offer. This year, we added a complimentary guided trip that will appeal to those looking for a unique winter adventure. Join us as we take a snowshoe hike on the Onion River. Not along it, but right on the frozen river! The beautiful Onion River is best appreciated while hiking through the canyon. After a quick shuttle ride to the Ray Berglund Wayside, we’ll begin hiking on the Onion River trail. 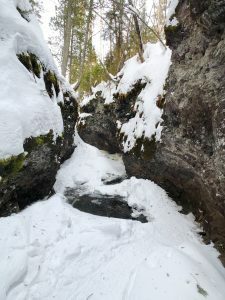 Once we pass the Onion River falls we’ll veer off the trail and begin our trek upstream along the frozen river. Listen as the water bubbles under your feet! Gaze at the breathtaking views and enjoy the peaceful feeling of being surrounded by nature among the canyon walls. When the snow is deep and fluffy we will outfit everyone with snowshoes for the trek. When the frozen river is covered in packed snow we will outfit our boots in yak tracks. Hike stats: This is a 1.5-mile round-trip hike, and the difficulty level is moderate. Because of potential spots of open water plus a few steep inclines this hike is recommended for those 18 and older only. Check out the Activity Calendar to view all of our complimentary winter activities! It’s true, our beloved Bluefin Bay Family of Resorts is currently for sale. At 66 years old, Bluefin’s owner and long-time general manager, Dennis Rysdahl, would like to retire. Dennis will be the first to tell you that this was not an easy decision, nor was it made in haste. We wanted to share the news with you first-hand and also share a bit more about what you can expect in the transition. Why sell and why now? First off, some history. Dennis Rysdahl built and has managed the Bluefin Bay Family of Resort properties for nearly 35 years. 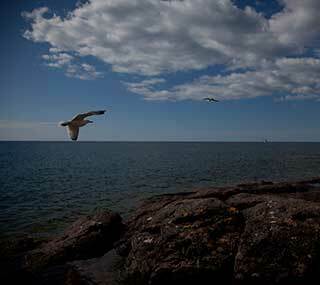 The first condos at Bluefin Bay on Lake Superior opened for business in 1984. 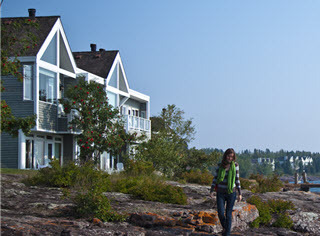 Our Temperance Landing log homes were added in 2006, and Surfside on Lake Superior joined the resort family in 2008. About three years ago, Dennis began planning for this transition by recruiting top talent to help run the resort and learn the operation. Those new leaders – Mark Jury, our new General Manager, and James Taylor, Food & Beverage Director – have now been in place for two years, all while grooming new managers in each of the resort’s areas of operation. This is a key part of a successful hand-off to a new Bluefin Bay Family of Resorts owner. It will help ensure that the Bluefin Bay Family of Resorts continues its longstanding commitment to providing upscale North Shore lodging with a high commitment to guest experience. What does this mean for resort guests and staff? The change in ownership in Bluefin Bay Family of Resorts will have no immediate effect on our guests. All current or future guest reservations remain in place, and of course, all gift cards that have been purchased will be honored whenever guests choose to use them. 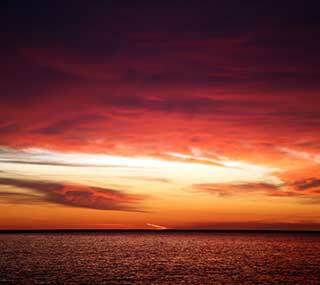 Bluefin Bay Family of Resort condo owners, staff members, and guests will undoubtedly miss Dennis – we are family. But we also wish him the very best in his retirement. And something tells us this will be a transition that will take some time. We’ll keep you posted. It’s Valentine’s week! 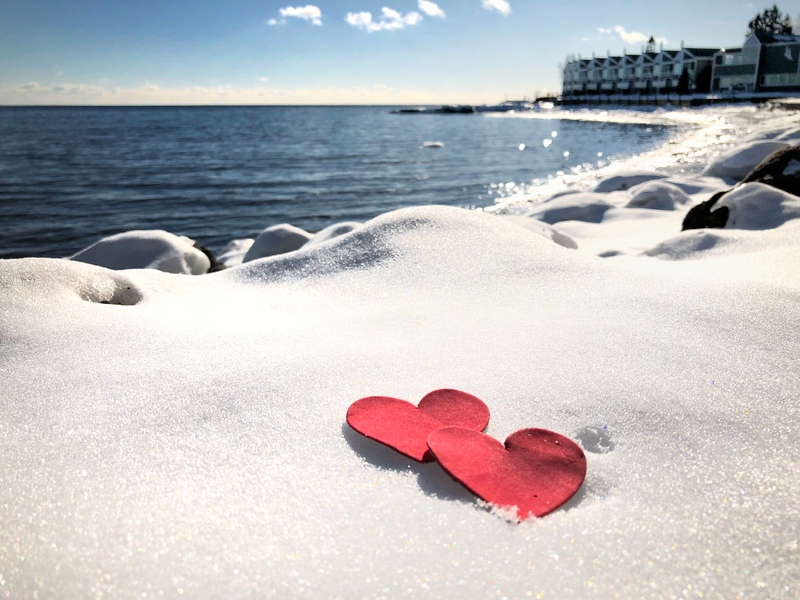 Celebrate the month of love with a winter vacation to Bluefin Bay Family of Resorts. We promise that as you get closer to the lake, you’ll get closer to each other. In addition, take advantage of great packages and upcoming specials this winter. 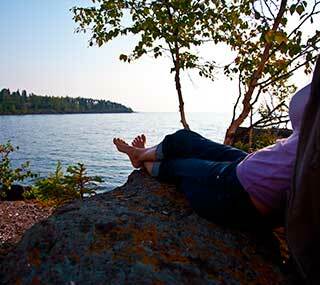 Romantic Retreat Package: Two or more nights in a Grand Superior Master Suite or any other room style. Breakfast for two on two separate mornings at either the Bluefin Grille or Coho Cafe & Bakery. 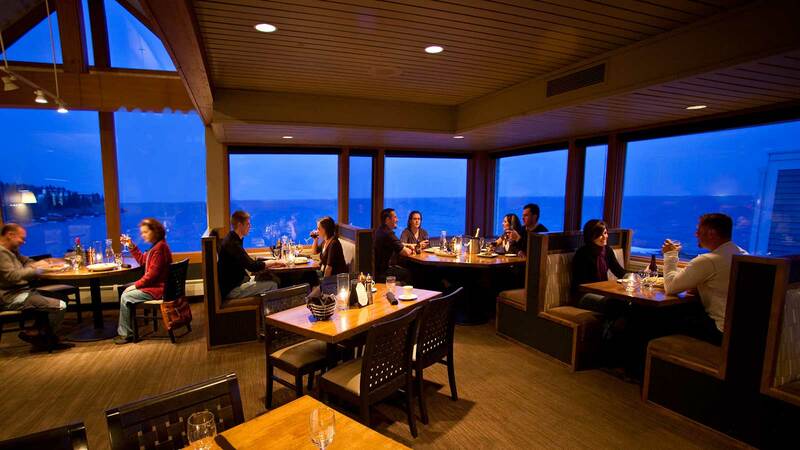 Dinner for two at the Bluefin Grille with breathtaking Lake Superior views (value up to $80). Your getaway should be as unique as your love and you can personalize your package with distinctive add-ons. See the complete package details for more information. A Valentine Dinner with a View! Some languages have words for which there is no single or defined translation. In Danish, hygge (pronounced “HOO-gah”) is one such word. It’s basically a word for enjoying life’s simple pleasures. In the winter, especially, we embrace the feeling of hygge. During this time, we seek cozy spaces and meaningful moments spent with family and friends. Hygge promotes emotional wellbeing and gives us a sense of togetherness and contentment. This feeling can happen whether we are doing something simple and ordinary or having an extraordinary winter adventure. Cook County is celebrating its 3rd annual Hygge Festival February 8 – 14. 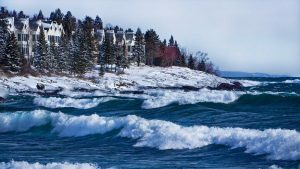 You’ll find events to celebrate the ‘cozy season’ all along the North Shore from Tofte to Grand Portage. Live music, night skiing, dog sled tours, special dinners, artsy events, and more have been scheduled to help you embrace life’s simple pleasures. At Bluefin Bay Family of Resorts, we’ll help you get into a hygge state of mind. 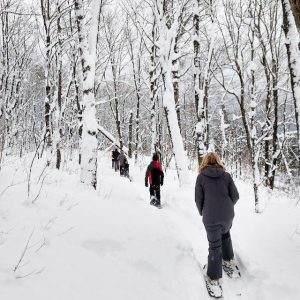 Imagine a day spent enjoying winter fun: carving out the fresh powder at Lutsen Mountains, gliding along freshly groomed cross-country ski trails, or exploring a local frozen river followed by a cozy dinner at the Bluefin Grille. 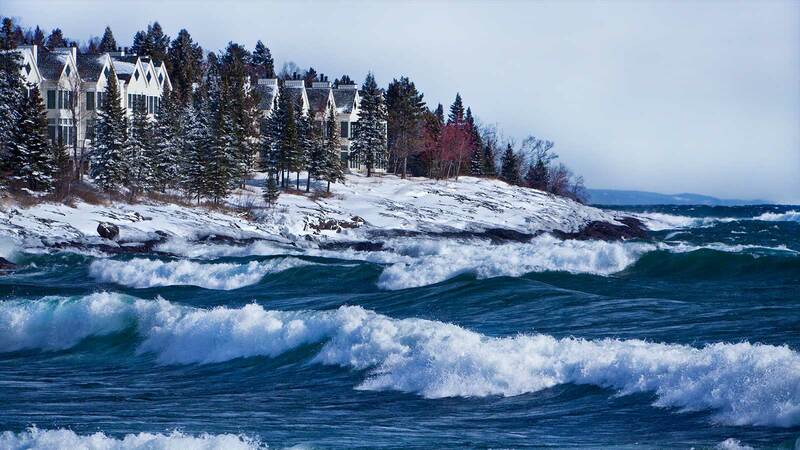 Afterward, curl up with a good book or jovial conversation with loved ones around a warm fire while listening to the waves of Lake Superior right outside your window. 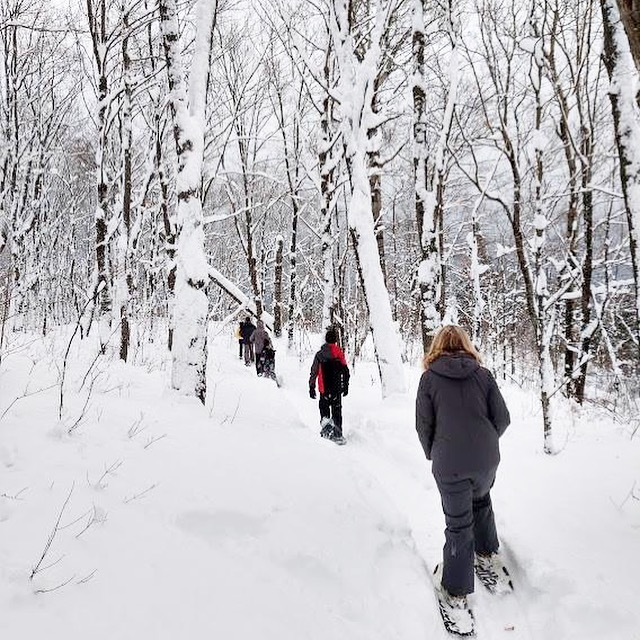 In addition, check out the resort guided activities and entertainment available during your stay – We even have complimentary cross-country ski, snowshoes, and ice skate rentals. Indoors, you’ll enjoy upscale accommodations, fireplaces, and breathtaking views of Lake Superior. We want to make it easy for everyone to create their perfect recipe for hygge!